UPCOMING: Gurney Drive / Sunrise Towers Sdn. Bhd. A newly proposed development by Sunrise Towers Sdn. Bhd. 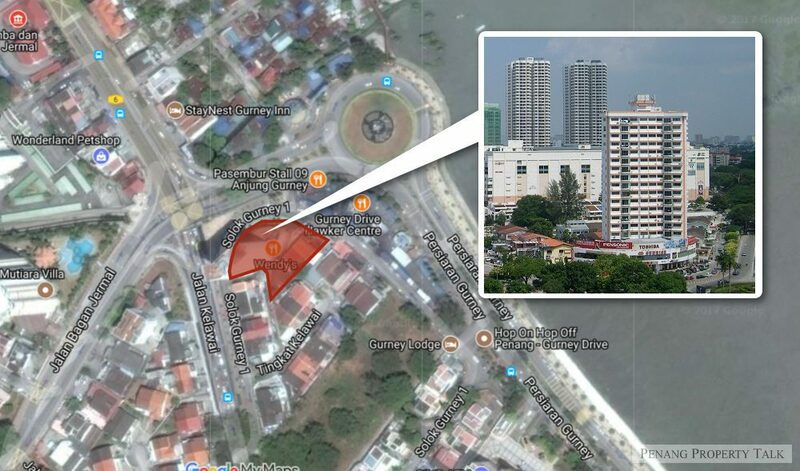 on a half-acre land at Gurney Drive in George Town. It is strategically located close to Gurney Drive Roundabout, adjacent to the famous Gurney Drive Hawker Centre. The land is currently occupied by a 40-year-old 18-storey condominium – Sunrise Tower. It was one of the tallest buildings in Penang, and also one of the earliest condominiums in the state. This development will see the construction (or to be refurbished?) of a 20-storey commercial building, featuring 165 units of office suites with 6-level automated car parking bays. The project is still pending for approval, more details are only available at later stage. Developer : Sunrise Towers Sdn. Bhd. DISCLAIMER: This article is solely based on research done using publicly available data. This is not an advertisement, unless stated otherwise. Any claim, statistic, quote or other representation about a project or service should be verified with the developer, provider or party in question. Sunrise Towers to be refurbished ? Stayed there during ’90s, good location privacy food everywhere…. Im interest in office suites.. please pm me more details..